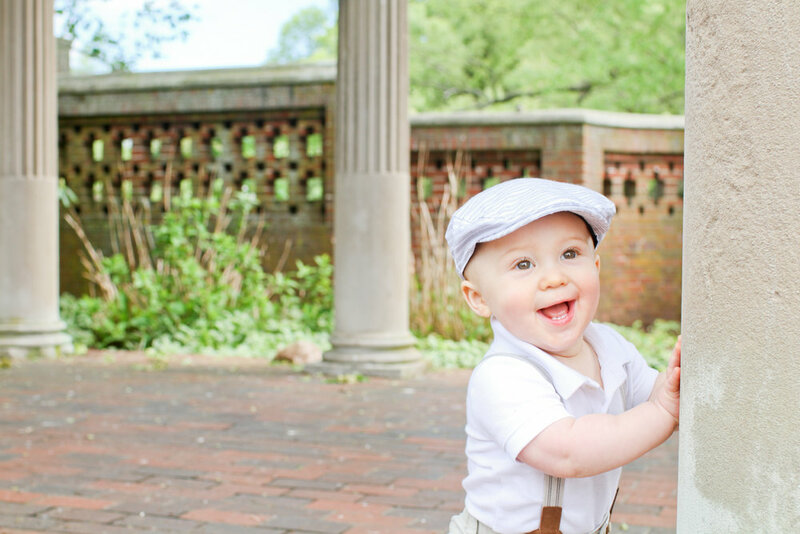 Oh sweet little Anthony is already so dapper for a one year old! 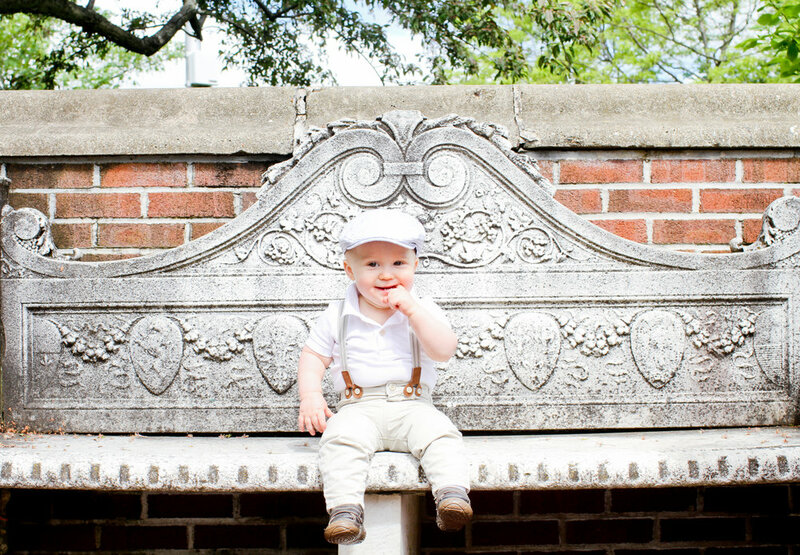 Check out his suspenders and scally cap - he wears them well, don't you think? 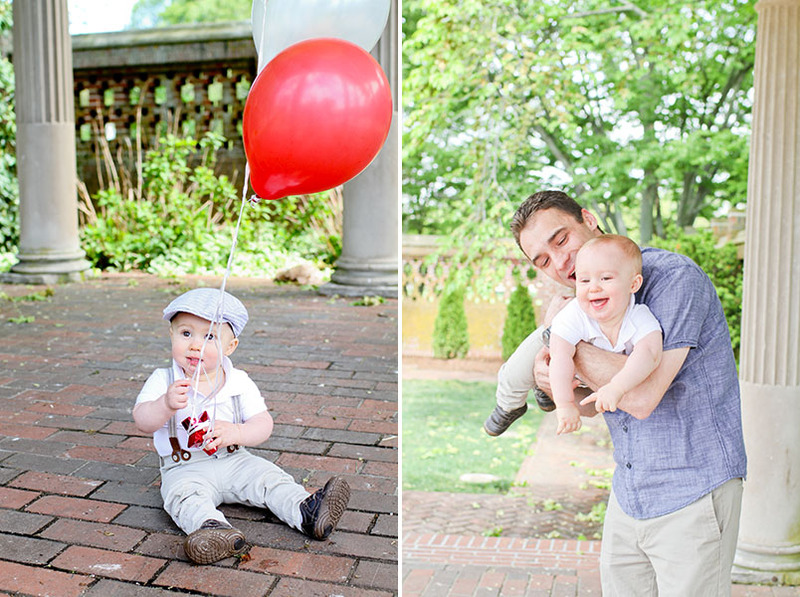 I met up with Liz, Pano and Anthony at The Rose Garden at Lynch Park a few weeks ago for this adorable family session. I say this all the time but I truly love being able to reconnect with my past wedding clients. 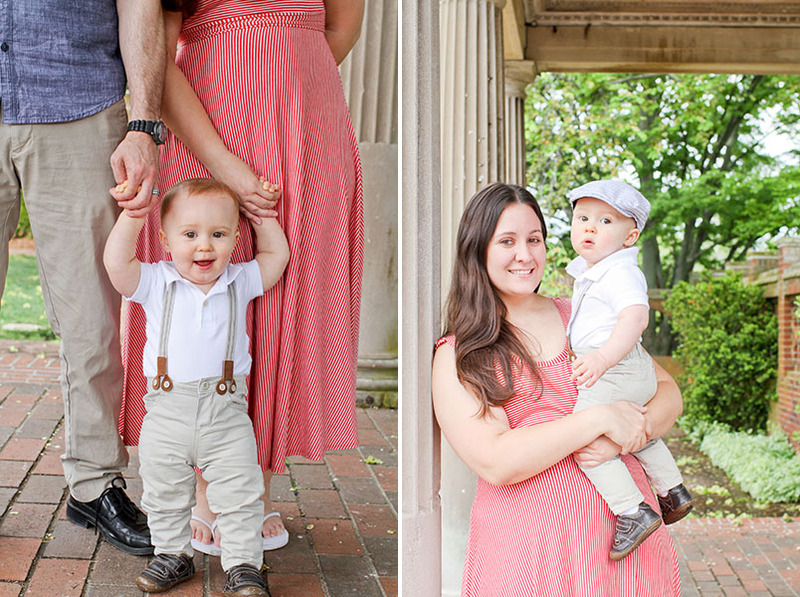 Being able to document couples getting married and then starting families is pretty amazing.